This blog is intended for ABAP developers (me including) dealing with interfaces. In particular the interfaces developed in SAP ALE – means IDoc technology. From time to time I need to quickly check what is field mapped to field in IDoc’s segment. To do that it is very common to use TA WE60 – Documentation for IDoc basis types. Basically inhere I need to know what IDoc basic type I’m interested in and I can quickly get overview of all the fields within segment of that IDoc basic types are used. 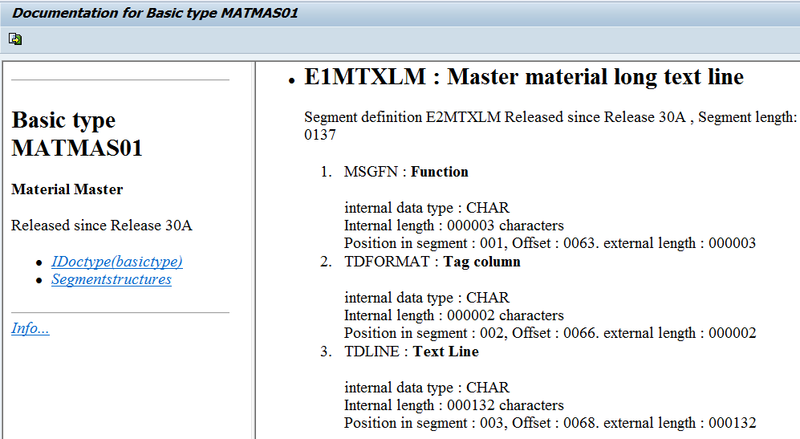 So this gives me a list of all the fields within particular segment (or all segments in particular basic type of IDoc). However sometimes it is a case other way round. I would like to know what segments are out there where particular SAP application field is used in. For this I can use table EDSAPPL. Information regarding EDSAPPL table was very helpful.